“Let’s get the band back together one more time,” says Damon Albarn, in a heavy faux-American accent, of the sentiment that led to Blur’s brief but stunning reunion last summer. Albarn clearly knows that what he’s saying is more than a little cliché. Yet it’s an absolutely sincere statement, and the group have thoroughly earned that sincerity. Though there seem to be as many bands reuniting as forming these days, the Blur reunion felt particularly special. “No Distance Left to Run,” the new documentary chronicling the British band’s career and reunion, proves just how special it was. Directed by Dylan Southern and Will Lovelace, “No Distance Left to Run” tells two stories simultaneously: an overview of the band’s original life from 1989 to 2003, and the story of their reunion, including their huge concerts at Glastonbury and Hyde Park. The film is structured rather curiously, frequently interrupting the narrative of the band’s career to show footage from 2009’s warm-up gigs and jumping from the youthful teenage version of the band writing their first album, “Leisure,” to the seasoned veterans touring their greatest hits around Britain. As such, the film can be a little confusing for those who don’t already have a pretty good idea of what Blur achieved, and is only really appropriate for fans of the band. For these fans, however, “No Distance Left to Run” is perfect in just about every way. The dual narrative structure is absolutely critical to the film’s success. Frankly, if “No Distance Left to Run” had been purely chronological, it would have been rather depressing. As the film shows, being in Blur was far from an easy job. Despite the fact that they were one of the most successful bands of the 1990s, Blur seemed to have far more moments of resignation, anger, and bitterness than of elation. Early in their career they lashed out against their record company, the hollowness of grunge culture, and the pervasive influence of America on British life. At the peak of their success they resented the label of “Britpop,” hated the pressures of fame, and were constantly faced with the greater success of their perennial rivals, Oasis. Later, guitarist Graham Coxon’s alcoholism, singer Albarn’s heartbreak, and growing internal tensions drove the band to change their sound and, ultimately, break up. In addition to the documentary, “No Distance Left to Run” includes a superb live recording of the first of Blur’s two Hyde Park gigs. The band are in absolutely phenomenal form, moving through a diverse greatest hits set that includes their most famous songs while featuring astonishing performances of lesser known tracks like “Oily Water” and “Trimm Trabb.” The concert is the perfect accompaniment for the documentary, proving once again how remarkable and joyous the reunion was. 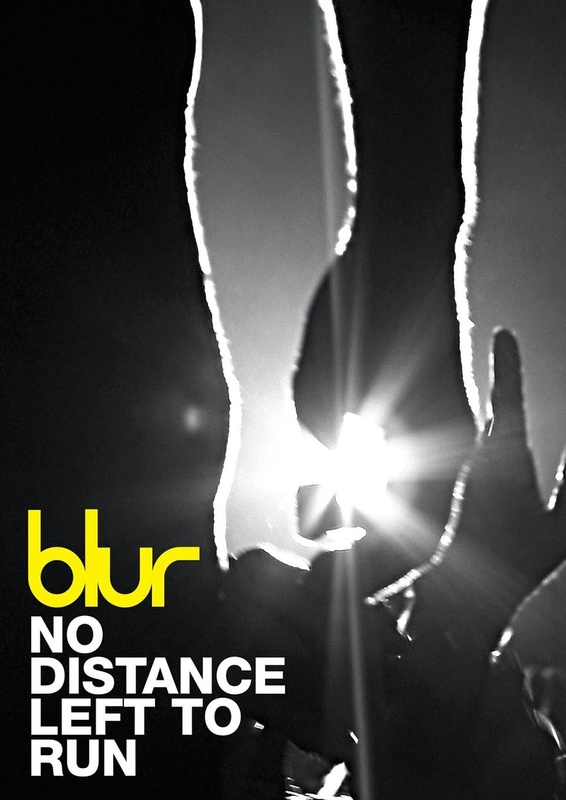 At the beginning of the encore at Hyde Park, Albarn tells the audience, “We feel privileged to be able to do nothing for so many years and then come back to this.” As “No Distance Let to Run” proves, through their character, their history, and always through their music, Blur have fully earned such a privilege.